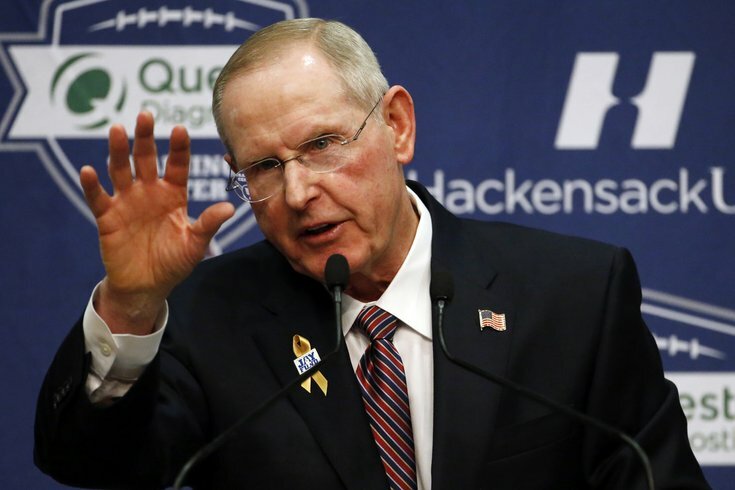 After losing out to the New York Giants for head coaching candidate Ben McAdoo, the Philadelphia Eagles will turn their attention to former Giants head coach Tom Coughlin, according to Adam Schefter of ESPN. Eagles now have turned their attention to former Giants HC Tom Coughlin, per sources. Yet, there are issues for two sides to work through. Appearing on 97.5 the Fanatic, Schefter elaborated. "There are a number of things the two sides will have to work though," he said. "Number one, is it going to be lucrative enough for him to do that? Does he want to do it? Can he get a staff together, being that his staff has been left behind in New York, being that they're going to retain Ben McAdoo and those coaches that Tom Coughlin has worked with are staying in New York? Now he has to reassemble a new staff, which is not an easy thing to do. "He's got other career options, so he could even decide with the intensified talks with the Eagles, 'You know what, I'm not going to do this.' So there are still a lot of ways this could go, but I can tell you that as of last night there definitely are intensified talks and we'll see what comes of that." Coughlin "resigned" from the Giants after compiling a 19-29 record over the last three years. Over the last two years, he is 0-4 against the Eagles. One of the themes in Jeffrey Lurie's post-Chip Kelly press conference was the next coach's ability to relate to and communicate with players. Coughlin had issues with that in the past, but he adapted to the modern athlete, and became a coach known for getting players to sell out for him. That could be a trait that interests Lurie. My understanding is the #Eagles are set for a face-to-face meeting with Tom Coughlin today. Should be a lot more in-depth than last time.